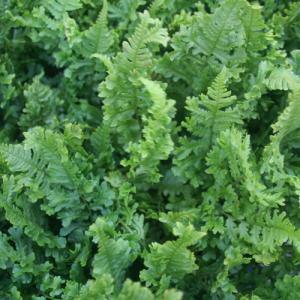 A native British fern which has tall, bright green fronds with crested leaves which are ruffled or curly along their margins. Each new frond appears from the ground curled up and then slowly unfurls to reveal the bright green frond. Plant in full shade, well drained soil. Once established it will reach a height of 60cm x spread 60cm . Foliage is deciduous. Plants supplied are in 9cm pots.